My latest Socialist Academic Profile looks at Dr Chamsy el-Ojeili, a lecturer in sociology at Victoria University, Wellington. El-Ojeili is the Sociology Department's postgraduate coordinator. Classical and contemporary sociological theory; political sociology; the sociology of development and globalisation; cultural studies. Post-Marxism and intellectuals; the work of Cornelius Castoriadis and Jacques Camatte; globalisation and politics. 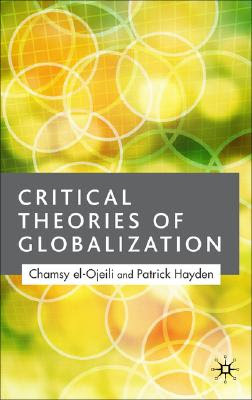 2005 "Critical Theories of Globalization." 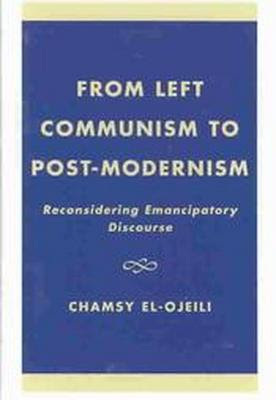 2003 "From Left Communism to Post-Modernism: Reconsidering Emancipatory Discourse." El-Ojeili is co- editor of the New Zealand Sociology Journal and is a contributing editor to the Alliance Party/Global Peace and Justice Auckland linked journal, Red and Green. Do I hear Cameron feverishly typing up his transfer papers for a move from Auckland to Vic? Just strive to be good historian Cameron. Do that and you'll inevitably become a capitalist anyway. nope - heard of chomsky and john pilger and robert fisk - cam will stay true forever.